Businesses all around the world are excited about the potential success WhatsApp Business can bring for their business communication. Through WhatsApp Business API, businesses can now create a new experience for each customer and further enhance customer engagement. WhatsApp has quickly emerged to become the go-to global application for over 1.5 billion customers. This consumer preferred platform is now rapidly being adopted by businesses to scale their communication and reach customers with ease. 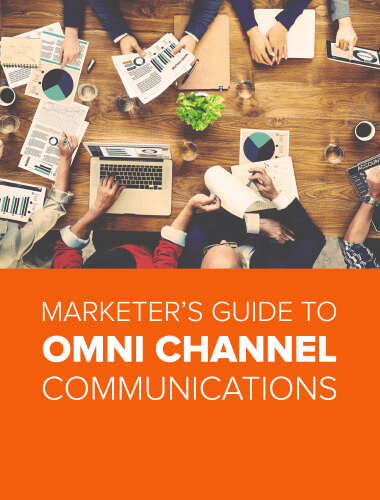 In today’s omnichannel world of tweets, posts, and chats, customers want to communicate with businesses the same way they interact with their peers and stay in touch with family. Messaging apps are the key to connect with customers. 60 billion messages are sent out through WhatsApp every day. By communicating with customers through an app they regularly use, you can ensure that a notification from your business on a customer’s phone screen will definitely be opened and read. WhatsApp Business can take your business communication to a whole new level. With private and instant messages delivered, on one of the world’s most popular messaging apps, you are always directly connected to your customers. Through WhatsApp Business, retailers can enhance customer experience through each step of a customer’s shopping journey. Businesses can now quickly and easily resolve issues and keep shoppers updated in ways that were not previously possible. Instant response: Merchandise return, payment issues, size problems, and other such concerns can be handled instantly through the app. By responding to customer queries right then and there, you incur multiple benefits- the customer you helped is happy, your company representative can focus resources on customers whose problems are not solved via text and there is a shorter queue on your call center line thus, leaving those customers who call you with a better experience as well. Regular updates: By keeping your customer informed at every step, through order and payment confirmations, upcoming in-store sales and so on, you eliminate possible concerns or need for them to call you to get information. A customer is looking for the same perfume they bought last month? No problem. You can notify your customers immediately once the product is back in stock. This creates a smooth experience for your customers and helps build the relationship you are looking for. The education sector has heavily relied on using websites to provide information and traditional phone systems to handle business communication. Today, phones are not enough to support customer queries let alone, creating the ideal customer experience. Messaging apps like WhatsApp provide a fresh solution. Access for students: One Time Passwords (OTPs) are an additional layer of authentication to the login process. By providing students with unique OTPs, through WhatsApp, before allowing access to their account, institutions can ensure that their personal information, marks card and all other information can only be viewed by them. It further secures the education provider’s platform from fraudulent login attempts. WhatsApp also allows businesses to provide alerts and notifications. Institutions can thus, easily keep students informed about holidays, result availability, exam schedules and more. Updates for parents: Parents are always concerned about their child’s performance in school. By sending personalized messages to parents about result access, feedback etc., parents are always kept in the loop. This eliminates the need for them to continuously call the school to stay updated. Moreover, fee confirmations can also be sent through the app. Online education institutions, can also send information about the number and types of videos their children have been watching along with their progress reports through, WhatsApp Business. Regular updates: Fintech companies send regular updates to customers about their Account number, policy detail, payment details, Payment reminders, payment confirmation, outstanding amount, EMI due, financial schemes, loans, mortgages, account maturity dates, change in regulatory policies, suspicious account activities, current goal rate, gold loan policies. With end-to-end encryption and 2 Factor Authentication (2FA), WhatsApp makes your conversation as secure as it can get. This means that your customers are fully protected as no other individual can exploit your customers, using your name. All possible instances of negative publicity, lawsuits etc., are successfully eliminated. This builds your customers’ trust in your company and eventually increases customer loyalty. Real-time customer support: If your customer has lost their credit card or if unknown purchases are being made from their account, they have the option of immediately getting in touch with your through WhatsApp. For a customer who is stressed because of such a situation, waiting in line on call, to be connected to your customer representative is horrifying. Through WhatsApp secure and private chat you can solve the issue in real-time, through document sharing, QR codes and so on. In a similar way, other enquired can easily be catered through from within the app. Transactional details: Instead of making customer search for what they want on your app, call you for further details or browse your website for minute information, you can easily provide customers with all the information they need. Send them a message about account activation, inform them about the status of their application or update them about their bank balance, all through messaging features available through WhatsApp. Lending: Send messages with details and updates of profile verification before approval of a loan. Send personalized messages with payment notifications and reminders, and follow-up with payment confirmations. You can further keep customers informed with debt collection laws and account details sent via messages. Insurance: To make the process of opting for insurance and claiming the insurance hassle-free for customers, businesses can send messages about health check-up appointment, account verification, appointment reminders, insurance payment details and confirmation, policy details and updates, account details- claim number, insurance amount etc. Moreover, for on-the-go insurance claims that are companies can send messages with information about required documents, proof submission details, policies under the specific insurance, payment details and confirmations. What use are great travel packages customized for each individual, if they aren’t effectively communicated to the customer? Through WhatsApp, businesses can share all their details with customers. In such a way you ensure that they enjoy their vacation as you do the planning. Live view: By communicating through WhatsApp, businesses can include photos, videos, slides, documents and more to their message, thus paving way for a richer communication process. Adding visual and audio elements to their messages means that businesses can not only make their communication more interactive but also, provide further clarity and details through the attachments. Customers can now feel the warmth in your hospitality, sense excitement of adventure sports and smell the desert calling for them, all from their phone screen. Constant updates: When customers are finally taking a break from their busy lives, the last thing they want is to be stressed planning this break. With WhatsApp, airlines can send information about flight details, seat reservation, on-air food bookings and more. Hotels can send room details, payment confirmations, information about facilities etc. In such a way you ensure that customers have the experience they’ve been waiting for. The faster, simpler and richer experience that WhatsApp brings for your customers, ensures that you manage your rides easily through effective communication. Fast delivery of notifications is of utmost importance in an environment where customer transactions are happening in real-time. Imagine a customer waiting in heavy rain for their driver. The driver is finally there, but the customer does not get a real-time notification informing them about the same. The customer is frustrated that you aren’t doing your job properly and that’s why the driver is taking longer to arrive than estimated. On the other hand, the driver is frustrated the customers are not ready on time for their ride. To avoid this scenario WhatsApp Business allows you to send messages that provide both drivers and customer information about what is happening every second. These messages include OTPs to the customers for sharing with the driver. This ensures that the customer can only go with their respective driver. Moreover, regular information regarding cab booking, payment confirmation, driver details, arrival etc., can also be sent as required. Through WhatsApp, businesses are changing the way they communicate. 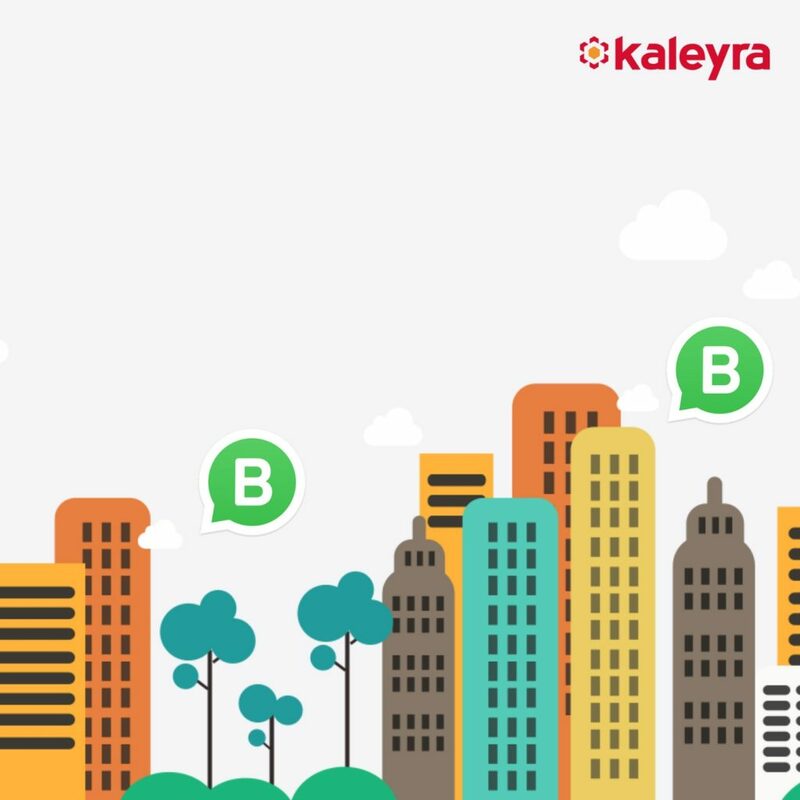 WhatsApp Business is a highly scalable chat application that monitors responses in real-time and directly provides information about read messages and reply backs. With detailed analytics, easily available through WhatsApp businesses can get further customer insights and through this, optimize future conversations. By pairing all the dynamic features of this chat app with genuine and responsive conversations, businesses can provide exactly what their customers want, and more.